SUTHERLAND SPRINGS (Texas) • The rampage by a US Air Force veteran who killed 26 people with an assault rifle in a small-town church may have been sparked by a family dispute, officials said. The latest mass shooting in the United States - this time by a man legally prohibited from buying guns, again raised questions about gun control. However, President Donald Trump dismissed them and instead praised a gun owner who opened fire in a bid to stop the killer. Ten people remained in critical condition a day after private security guard Devin Patrick Kelley, 26, burst into the rural Baptist church during Sunday morning services and sprayed bullets at the congregation. The Pentagon said it would carry out an investigation into why the air force failed to enter into a database a conviction for domestic violence that could have prohibited Kelley from purchasing weapons such as the AR-15 rifle and two handguns he had in his possession. Investigators were focusing on reports that Kelley sent threatening text messages to his mother-in-law, who regularly attended the church but was not there during the assault. Victims of the massacre included an unborn baby, an 18-month-old toddler, eight members of a single family, and reportedly, the gunman's grandmother-in-law. Twenty people were wounded. 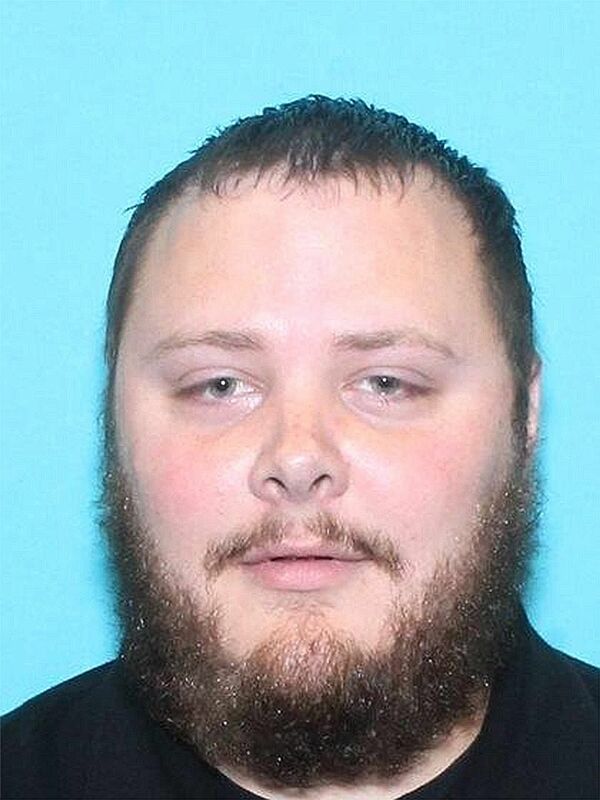 The authorities on Monday said Kelley may have died from a self-inflicted gunshot to the head after using his car to flee the First Baptist Church in Sutherland Springs - a rural community of rolling hills and ranches near San Antonio with a population of about 400 people. Two men - Mr Stephen Willeford, 55, and Mr Johnnie Langendorff, 27 - were lauded as heroes for confronting Kelley after he mowed down nearly 50 churchgoers in a blaze of gunfire. 200 Number of people who gathered in a field a few blocks from the church for a vigil on Monday evening. They sang spiritual songs, embraced and prayed. Twenty-six white crosses were planted in the ground - one for each fatality. Mr Trump, who is in South Korea for a two-day visit, said if the "very brave" Mr Willeford had not been armed, "instead of having 26 dead, you would have had hundreds more dead". Stricter background checks, however, would have made "no difference" in averting the tragedy, he said. Sunday's carnage came five weeks after the worst gun massacre in modern US history, when a retired accountant opened fire at a country music concert in Las Vegas and killed 58 people. According to the air force, Kelley served at a base in New Mexico, starting in 2010. At a court martial in 2012, he was sentenced to 12 months in confinement, and received a "bad conduct" discharge in 2014, said US Air Force spokesman Ann Stefanek. Republican Senator John McCain said the Senate Armed Services Committee, which he chairs, "will conduct rigorous oversight" for the military probe into the failure to report Kelley's conviction. About 200 people gathered in a field a few blocks from the church for a vigil on Monday evening. They sang spiritual songs, embraced and prayed. "Tonight we are in sorrow. Tonight we are in pain," said Mr Lee Thompson from the Gateway Church in Dallas. On the other side of the field, 26 white crosses were planted in the ground - one for each fatality.